Fifteen merchants don zany outfits for costume contest, decorate businesses with themes. 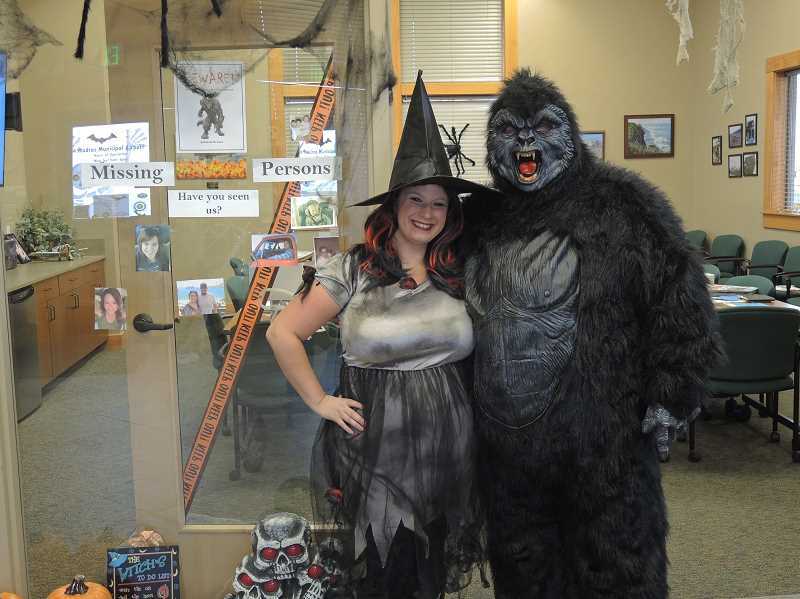 Winners of the Madras-Jefferson County Chamber's Halloween Costume Contest have been announced. Judges Ray Pokorny, Helen Houts and Joy Stephens made the rounds of costumed merchants on Oct. 31, and made their selections. A total of 15 merchants entered the contest. The Best Overall trophy, and Scariest Costumes award were won by Berg Air, decorated as "House of Spiders." The Funniest Costumes award went to Madras Medical, which had a Sesame Street theme. 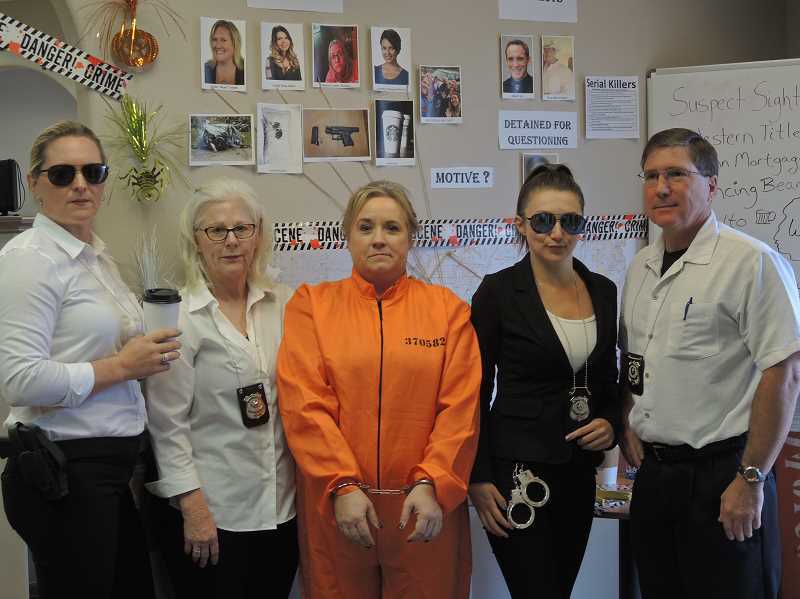 The Best Costumes award was won by D&D Realty, for its Crime Scene Investigation outfits. The Best Original Costumes award went to Mid Oregon Personnel, which portrayed characters from the movie "Up." The Best Decorations award was won by Payne West, which was decorated with a "Clue" game board theme.